Helen Gibson at the Northern Powerhouse Export Champions launch. A local company which is a leader in helping governments worldwide reform their health and justice systems has been appointed as a Northern Powerhouse Export Champion for 2019. Agencia, based at Hessle, was handed the recognition and the challenge to encourage others after the company’s track record impressed officials at the Department for International Trade (DIT). 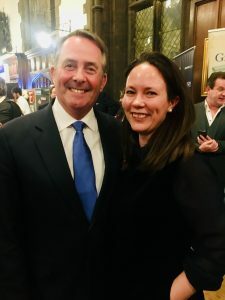 Helen Gibson, Managing Director of Agencia, visited Durham Castle for a Board of Trade reception, hosted by the Secretary of State for International Trade Dr Liam Fox, which launched the initiative. Agencia was selected for the DIT’s “If we can, you can” campaign on the strength of its achievements during 15 years of exporting, a period which has seen exports account for more than half the firm’s turnover. Helen said: “We have worked across the globe, exporting our British healthcare and judicial expertise to overseas governments. Over half of our business is international, and we are looking to grow our work in the Western Balkans and South East Europe, East and North Africa and China. “I’m delighted that we have been selected to be a Northern Powerhouse Export Champion for 2019. It is recognition of our efforts to expand our business by exporting our expertise to 14 countries including Kosovo, Tunisia, Kenya, Malaysia and Barbados. 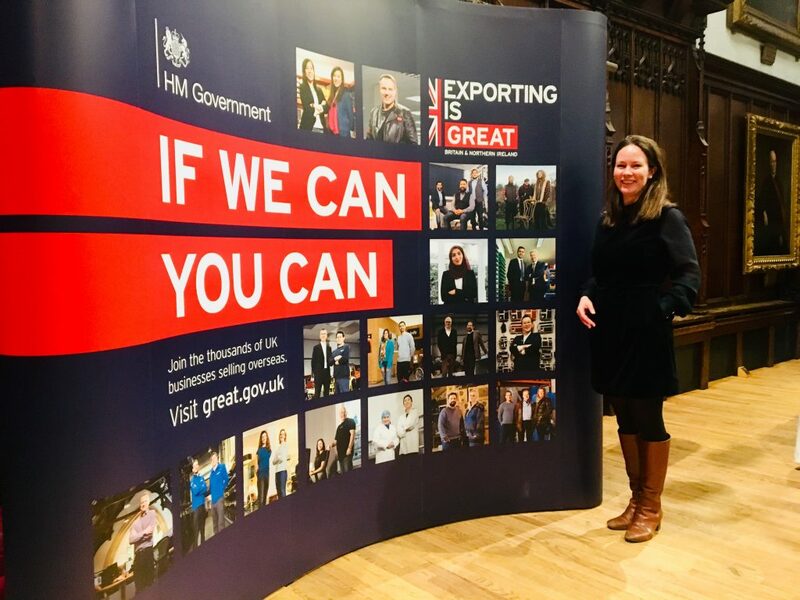 “Being appointed to this role is a real honour and a privilege and the launch event provided an opportunity to hear a wealth of inspiring stories from fellow exporters. The Export Champions initiative started in the North West in 2013 and was extended across the Northern Powerhouse in 2018. Businesses are selected on the basis of their track record for selling overseas and for the strength of the messages they can share with other companies through export seminars or workshops. Export Champions also contribute to developing DIT strategies. During 2018, many of them were invited to attend round tables with Ministers and to participate in the Exporting is Great Hub and the International Business Festival based in Liverpool last summer. Helen Gibson with Liam Fox at the Northern Powerhouse Export Champions launch. Be the first to comment on "Agencia appointed to Export Champion role by DIT"